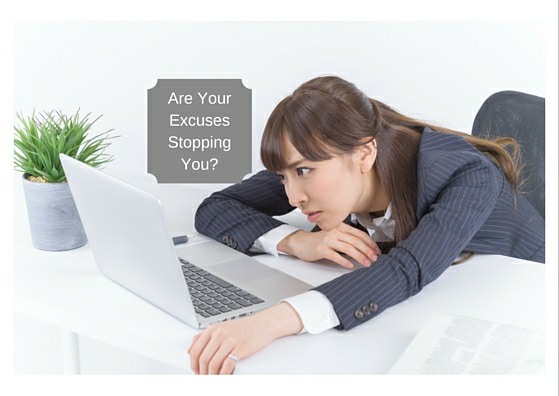 Your excuses stop you from starting your own home business. You moved into the New Year excited that things would be different for you this year. 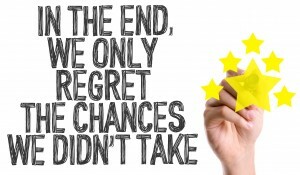 But, things come that stop you from starting your home business. You are upset because you are stuck. 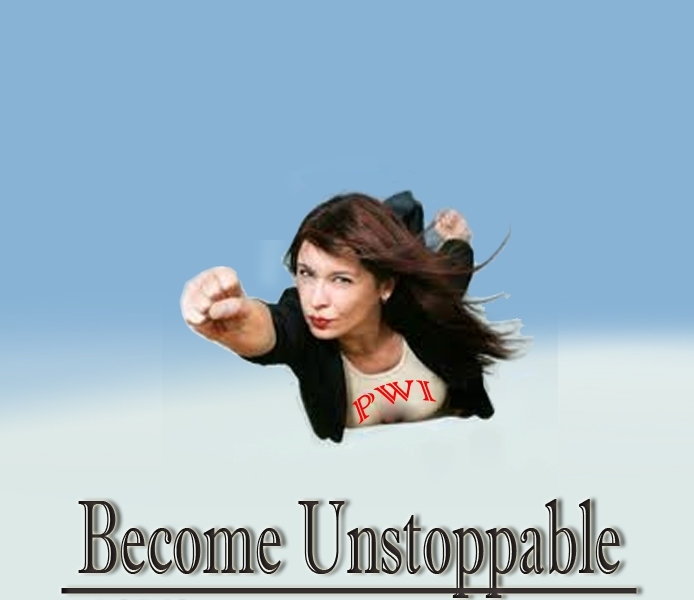 You want to get your business off the ground, but you are at your wit’s end. You promised yourself!! Your desires and passion put you in front of the computer to figure it out. 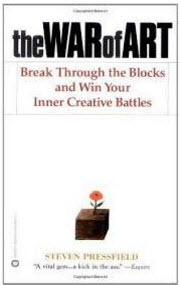 I have been reading The War of Art by Steven Pressfield. Steven calls this state, “The State of Resistance”. This state of “Resistance”, keeps us in a state of fear and in immobility. We fear the aloneness of being on our own. When we go to a job, we have our co-workers and a boss and our duties are clearly defined. When we start a business we are on our own, we’re afraid of being alone. We are going to have to figure it out ourselves. The truth is we are never alone. As we step out, the dream we have for ourselves sits like a little lady bug on our shoulders wishing us well. If we call for our courage, in the deepest part of ourselves where the desire to better ourselves comes from, we will be able to support and sustain ourselves. 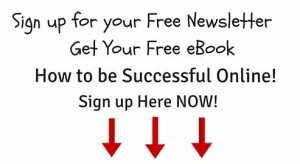 There are many out on the internet where there is free training to help you get started and figure it out. Don’t let your excuses stop you from starting your own home business. Are your Excuses just Excuses? The excuses we make for our selves, is just procrastinating. Anyone can succeed if they are willing to go out and gain the knowledge and learn the skills that will make a person successful. Say, you want to work online, or you want to be successful in a network marketing business, it will take setting the time aside to do the learning and then doing the work that is required of you.. If you make excuses and spend your time in front of the television, the knowledge you need to learn for your new craft won’t happen. It is resistance to what your heart desires, to really change your life and your finances that stands in your way to make the move to move forward. 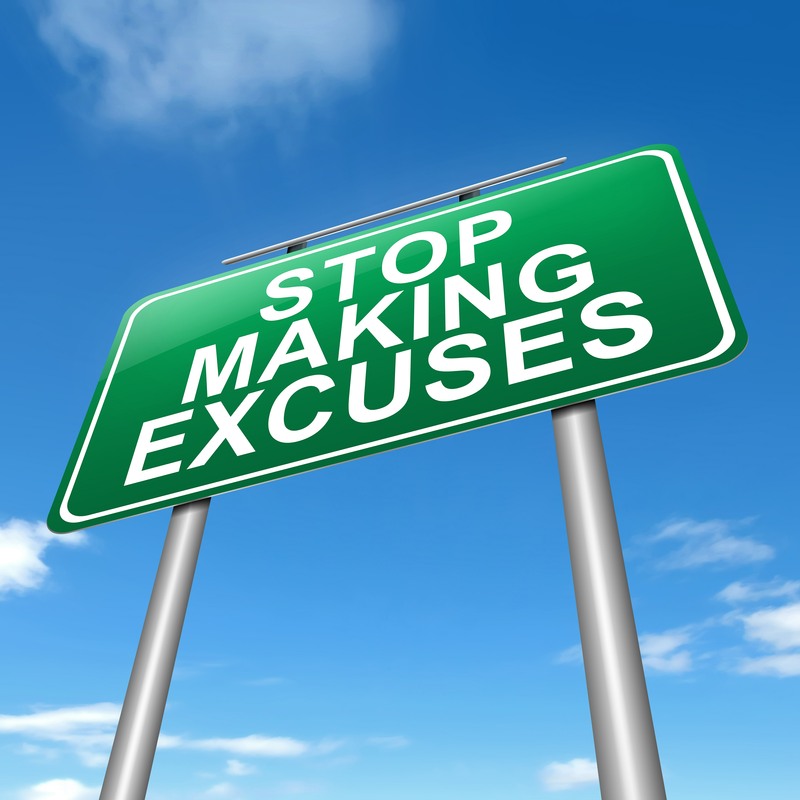 Are any of the following 6 excuses holding you back from starting your own home business? I don’t have the money. Is there ever a time where you have enough money? Before the internet it took lots of capital to start a business.Thanks to the internet you can start a business for less than $100.Work with what you’ve got. be careful not to buy every shiny object out there. Make a decision and try to stay focused. Concentrate on what will help you the most. I don’t have the time. There is a saying, if you want something done, find a busy person, they get it done.How do people who are in business do it? They make sacrifices. They don’t watch TV, They give up socializing as much. Focus on the time that you do have, where you are not sleeping. Make the sacrifice and make your dream a reality. The market is flooded. McDonald’s and Burger King are in the same market? 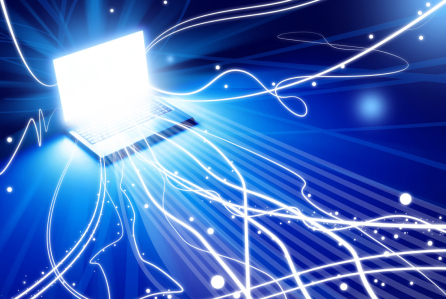 If you want to do business on the internet, it’s a myth that the market is saturated. The market is ready for new ideas and marketing strategies. You need to be willing to take the time and effort to learn and get into action. I’m too old, I’m too young. Are you on your deathbed? If you’re not, then you have wisdom and life experience that can go into your business. Stop thinking of yourself as old, think of yourself as capable with time and resourcefulness to succeed. If you’re young, you have time, energy and motivation to learn new things to succeed. If you believe in yourself, you can prove everyone else wrong and do it for yourself.. I don’t have the skills or experience. That may be the case at this moment. You don’t know what you don’t know. Most entrepreneurs who get in a business do not know everything when they first get started. You can accept that you’ll learn along the way ( and usually from your mistakes) or do something about it to make sure you do learn. Who will help you? There is plenty of help out there.You must help yourself.You will need to look in forums, blogs, youtube, websites where you can learn and grow. 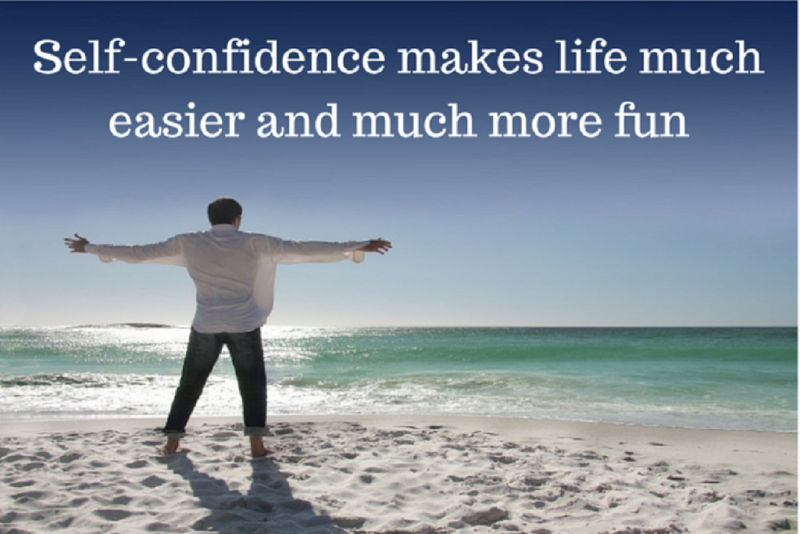 Your confidence will grow as you learn and overcome the obstacles that will show up. Take responsibility, don’t wait for someone to help you ,move forward. What are your excuses for not moving forward? 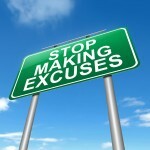 Is your Resistance and your excuses keeping you from achieving success. Take the time to figure out your “excuses”, are they what is preventing you from what you really want? Or are you getting in your own way? If you got some value from today’s post, Are you letting your excuses hold you back from moving ahead?, please feel free to leave me a comment below. It’s always appreciated. This entry was posted in Personal Growth, What is Possible and tagged Desire for change, Internet Marketing, make money online, Online Marketing, Personal Growth on January 29, 2016 by BoldandBrave. Become Unstoppable. What does that have to do with Improv and our life? Have you ever been in a theater group? What is the most fun and also the scariest? 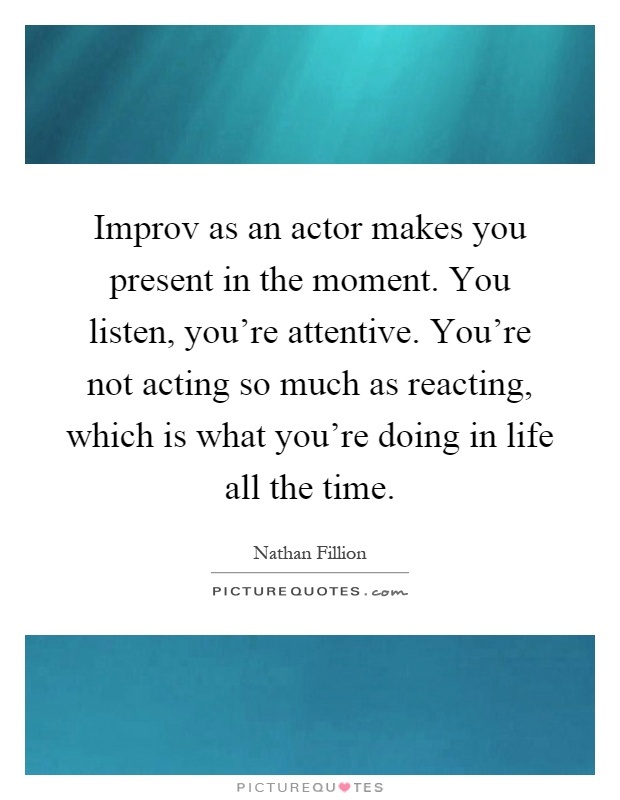 Improv is like life because we need to respond in the moment as we go through life in different situations, when we interact with people and build relationships. We don’t have a script about how we are to respond or act as we move through life. We need to trust our gut and go. The reason I liken Improv to life is because it lacks preparation for being in the moment. When we think about Improv, many of us think about comedy and wonder, how can they be so funny and in the moment? I did some research on Improv and discovered there are guidelines that Improv players follow to make it work. I discovered that these guidelines are actually helpful as you look at being successful in business. Why is improv a lesson to becoming unstoppable? Being in your own business where you are the boss, holds you to a higher standard. You are now reporting to yourself. You will need to become fearless, think in the moment, keep your limiting beliefs at bay. Think about a person in improv, are they not fearless, in the moment and they are thinking outside of the box as they are responsive in the moment? When you first make the decision that you want to start your own business and enter the arena of Entrepreneurship and you may want to do this online, you do this with your intellect, but your emotions are there to validate or nix the idea. 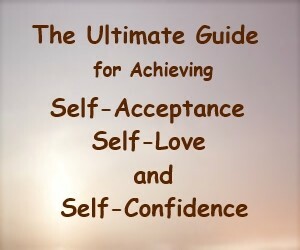 What are the secrets to building an unstoppable Self Confidence? Believe in yourself. Don’t compare yourself to others. When looking at others, you are only seeing the surface. Build on your strengths, build your skills, focus on your goals and how you will get there. It doesn’t mean that the loudest people are the most confident. Learn to trust yourself and your own strengths. Think about the people you admire the most. Is their strength showy and braggadocios? (Many may be feeling insecure.) Most of us admire someone who has depth of character and helps others. Keep the things you believe you’re not good at at bay. Focus on what you’re good at and use your strengths to advance yourself. Even people who are successful have things they aren’t good at. Use your strengths to overcome obstacles that may get in your way. Use positive affirmations that you believe will become your reality. Your positive self talk may not make you the most confident person, but successful people are good at positive self talk. The best way to help yourself through your own doubts is to remind yourself of what you have accomplished and what you are still capable of doing. Your positive self talk can become more believable to you and changes will come from there. Self confidence is about how you feel about yourself. Self confidence isn’t what others are thinking about you. Your self confidence is about who you are, where you are and want to be in your own life and in leadership. When you are sure about what you know and who you are then your self confidence and your ability to lead will be a natural consequence. In the Serenity prayer: God, grant me the serenity to accept the things I cannot change, The courage to change the things I can, And the wisdom to know the difference. This prayer gives clarity and understanding of what you can do and what may just be a waste of time to move you toward your goal. Make daily choices that will lead you to your goal. Jim Rohn, a leader in the personal development arena, had a great story he would tell about judging character, giving you insight into what you can change and what you can’t change. He tells the story about the frog in the lily pond. A scorpion comes along and asks the frog for a ride across the pond. The frog says, “No way will I take a scorpion across the pond because scorpions sting frogs.” The scorpion declared, “Why would I sting you, I want to get across the pond?” The frog sighed, “If you promise you won’t sting me, I will take you across the pond.” The scorpion promised. So, they set off across the pond. They were pretty close to shore on the other side, and guess what? 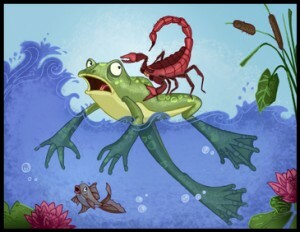 The scorpion stung the frog. The frog asked,”Why did you do that?” “ I am a scorpion and that is what scorpions do, they sting.” Know what you can change and become a good judge of character. Just as a leopard can’t can’t change their spots, others will do what they do because of who they are. Decide to be committed to yourself. If you are true to what you want and are committed, then every day you will accept responsibility for doing the things that are necessary to reach your goals. If you stumble or have setbacks, mount that horse, dust yourself off and don’t give up on yourself. Even if you fall off the horse again, mount the horse again, don’t procrastinate, be true to yourself. Do what it takes to get to the goals you created for yourself. When you are brand new to online marketing, you will benefit from learning a number of skills. What are the principles to having a business online? First off you need to discover why you want to earn money online. Some may say, I don’t like selling face to face and I hate the rejection. When you market a product of value, everyone will want what you have. 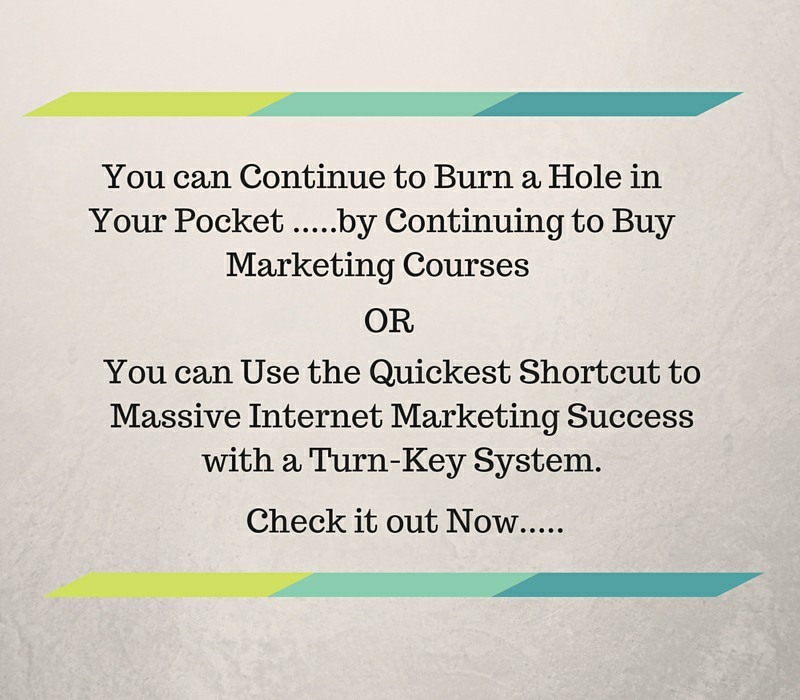 When you embark on a course of training you will discover how and what you want to market. 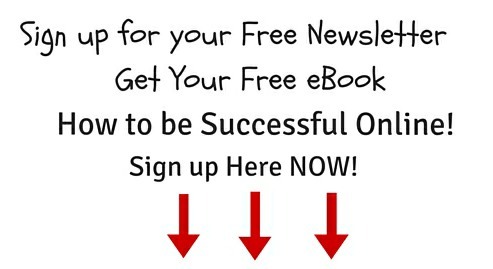 You will learn about sales funnels and Lead capture pages. What are you going to email people once you have their name captured? What kind of value will you bring to the person who is reading what you’ve written. How can you help them? What are the many connections with business and Improv? Getting back to Improv and the connection it has to owning your own business. The guidelines for an Improv is that you enter without preparation and you respond in the moment with your feelings and intuition. In our line of work in online marketing we need to be an Improviser, we need to be in the moment and connecting with stories. When we are talking with people we need to be listening before we respond, another principle in Improv. Communication and Creativity are key in Improv and also key in our business. Improv is also about teamwork and building rapport. Aren’t those key elements important in owning a business? Let me tell you about Paul, one of the persons that is looking to change his life. He has done a lot of odd jobs,construction, which takes a lot of physical exertion. He is looking down the pike and thinking, he doesn’t want his body to wear out and be working this kind of work when he’s in his 40’s.50’s and 60’s. Work is up and down. Sometimes it’s great and other times the times are lean. Sometimes he needs to travel to where the work is. I ask him, why does he want to work online? He wants to learn new skills so he can develop a stable long term income. He doesn’t want his body to wear out before he can have any fun in life. Does any of that sound familiar? Getting back to improv. If a character starts going on a story line and his partner says yes, the story can become very entertaining. But what if, he says NO. What happens next? Nothing. Everything stops. So if you want the story to go on…. what is the answer that keeps it going? Yes. Saying YES gives you Possibilities. Many are afraid of failing, so they never start. Failure is a way out. Failing does not mean you’re a failure, you just start again. Fear is what is so immobilizing. The following is an excerpt from Keith’s Winner’s Path Weekly Newsletter. I was speaking to a client recently when it struck me how often I find myself coaching people around their fears and worries. Although we may want to better our lives and accelerate our productivity, many of our decisions are governed by fear. We want more, but avoid risks, so we continually produce similar results over again. We fear change, for we may lose some degree of control over the outcome. We fear expressing how we feel or what matters most to us, in fear that it would make us vulnerable. We fear leaving what’s predictable and comfortable, although it may not be best for us. We fear not having and not getting, having what we want and losing it, even getting what we want and no longer wanting it! If your desire to succeed is strong enough then you’re willing to recognize your fear, realize it and push through it to become unstoppable. Fear is a funny thing, because your old programming can get in the way of you seeing clearly what you can do to work and push through it. Listening with every part of your being makes it possible to make the best response. It is also a willingness to change and to play the game that you are choosing. You wouldn’t be reading this if you didn’t want more in your life. 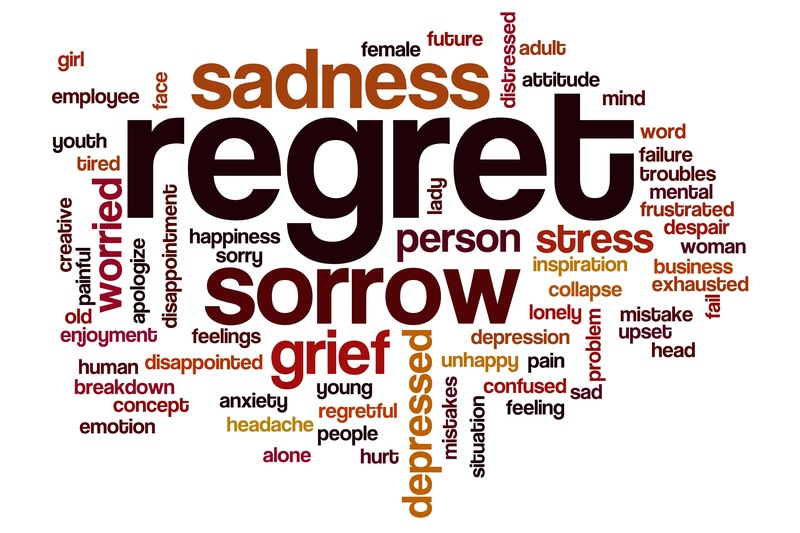 When you get that queasy feeling in your stomach, be bold, it’s your fear that has just cropped up. You are your biggest critic. Your doubts and fears, scare you, but once you decide what you want and step out your world will change. Yes, I want positive change in my life. Yes, I am going to be an entrepreneur. Yes, I am going to build my own business. Yes, I want to make a difference for me, my family, my children and grandchildren. Yes, I want to build my legacy. Yes, I want to leave a positive impact on this earth, that will touch many lives. I challenge you to be the change you want to see in the world. You have a passion and a fire to make a difference. You may be facing a little fear, can I really do this?. 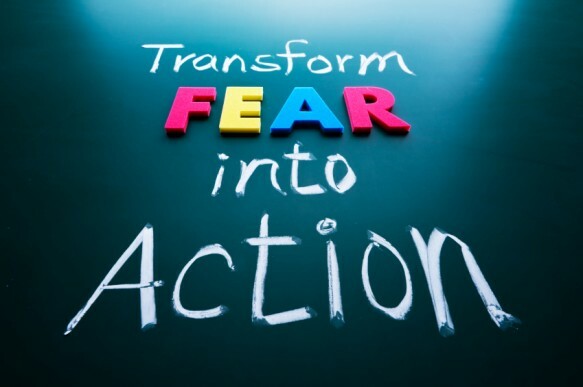 I challenge you to face the fear and do it anyway. See your influence ripple out into the world and make a difference. Be 10 times Bolder with intention. Decide to give it your full commitment and willingness to learn and act. What plagues most business owners is, what actions will I be taking? What actions will produce positive cash flow? A business not making any money will not be around for the long term. So if you’re ready to make 2016 Your Year – if you’re bold enough to commit, get the mentor-ship and help you need to build a successful business, with residual income – then go ahead and check this out! This entry was posted in Online Education, Online Marketing, Personal Growth, Traffic, What is Possible and tagged Become Unstoppable, Desire for change, Internet Marketing, Online Marketing, Traffic Authority, work on the internet on December 29, 2015 by BoldandBrave. 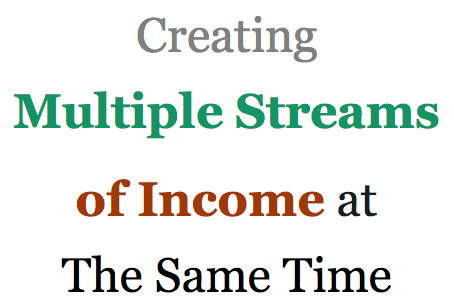 What are Multiple Streams of Income? 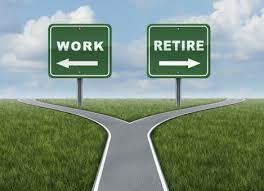 Have you heard people say they have multiple streams of income? What does that actually mean? 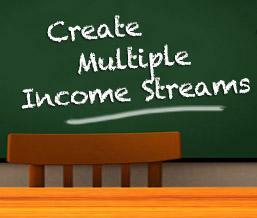 How to create multiple streams of income that will pay you? Let me tell you a little of my story so you can see how my evolution has taken place. I originally got involved in MLM or network marketing. I have to tell you that it can be a bit of a roller coaster ride. I love Direct Selling and the products I’ve represented. There are some truths about building your network marketing venture, that you may not be aware of. It takes time to grow a large organization and make an income that will support you and your family. The percentages on what you will be paid are small, in a network marketing company that’s why you need a very large team to be able to make it. 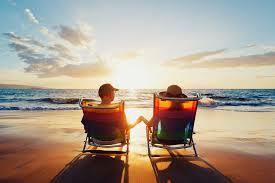 The long term residual income is what your reward will be. I have experienced this for over 20 years. 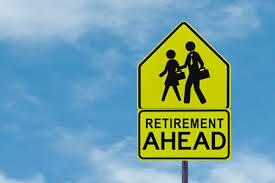 When I say it can be a bit of a roller coaster ride, many things can happen that can erode the income you’re building. This can be from the company side where there are problems or even from the organizational leadership above you or below you. This is not to discourage you, but to let you know that creating other income streams at the same time will benefit you as your business grows. The reason I bring these things to your attention, is that when a leader or company tells you that you shouldn’t create multiple streams of income, it’s for their benefit not yours. You need to be looking out for your well being and the well being of your family. There are many network marketing companies that have products that people want and will buy, even if they are not in that business. You want to be with a company where people want what you have. In the meantime, as you are growing your business, you can develop additional streams of income to help you and your family. I will be explaining more about the ways you can do this. Leaders in your network marketing business may tell you they want your total focus. They will tell you, you can’t chase 2 rabbits at the same time. While this is true, .you can get involved in affiliate programs, that will assist you in building your business. You can take advantage of opportunities to widen your horizon and your income possibilities. Whatever you do, you need a business mindset and have the determination that you will succeed. 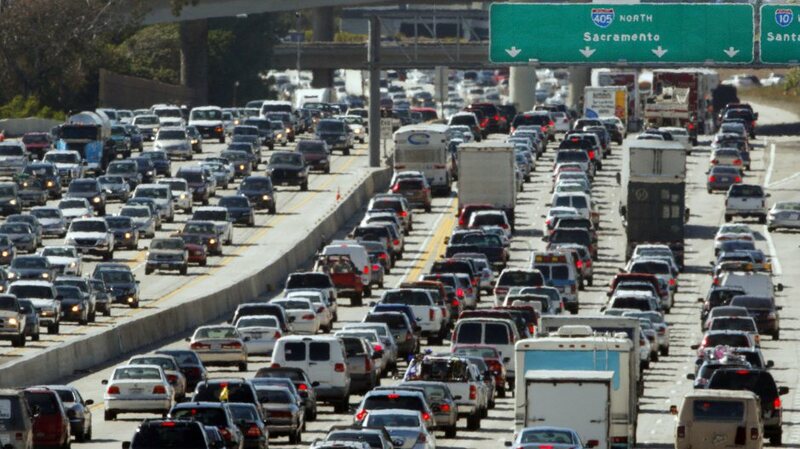 When you look at any business, the biggest component of success is traffic. If you don’t have enough people coming to take a look at what you have, you will not succeed. Being able to drive traffic to an offer is critical to your success. That way the people who want what you have, can find you. When you have traffic you can drive traffic to multiple streams of income and multiple businesses. 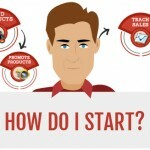 Another way to create income is to sell things on eBay or Amazon. There are programs that will teach you how to drop ship from Sears, Overstock, Amazon and more. The old buy low, sell higher, is being done by many people. Do you remember when you learned about the Gold Rush? There were people who got rich from the gold, but there were many more who got rich by selling the prospector’s tools for finding gold. That was the time when Levi-Strauss made their inroads in selling jeans. Prospectors needed good clothing that would hold up to the elements and Levi-Strauss jeans fit the bill. Levi-Strauss made a fortune selling jeans to Prospectors. Prospectors also needed picks and shovels and other various tools.. Those entrepreneurs who filled a much needed niche became rich. What do you think is one of the biggest tools needed nowadays for working online? It’s traffic. The common denominator to all of this is learning to market online. Learn how to create converting offers and marketing these offers will lead you to success. The primary focus is driving traffic. Get enough eyes on what you are marketing and the conversions will take place. There is no crystal ball as to which companies will make it and which ones won’t. When you know how to drive traffic, you can do this to any number of different offers and different products and different companies. With any home business the focus has to be driving traffic. When you’re not making enough money in one business, you can add another business. Your job is to make money for your family. One of the most important skills in online marketing is to learn how to drive traffic. You need to learn that skill and then it’s easy to diversify. As an example “Shark Tank” Mark Cuban, had an entrepreneurial spirit as a child. He made his first fortune as a salesman in technology. He built relationships. Relationships are the cornerstone for success no matter what you do. Even when you learn to drive traffic, you will need to build relationships and trust. After his success as a salesman he decided to venture out and founded a company called MicroSolutions, which he later sold to CompuServe. He later branched out and started a company that streamed radio on the internet. He diversified and later got into Sports buying the Dallas basketball team “The Mavericks.” The reason I brought him up, is you have to start where you are before you branch out. Many successful people have more than one business to develop multiple streams of income. What do you think the market needs as far as tools? In the online arena people need training on how to do things successfully online. They also need to learn how they can drive traffic to what they are marketing. Your job is to learn how to monetize what you do and develop several streams of income so that you always have income coming in from several sources. Stay focused and learn how to drive traffic, then you have more freedom and choices. Build assets for your company, work with leaders that can help you and show you how to do this. I’d like to introduce you to my partner Ankur, who will let you know about an opportunity to learn how to drive traffic as well as online training. Click here to learn more. If this has been helpful to you, I welcome your comments and sharing this with others. PS: Please share this on facebook and help others know they have more choices. This entry was posted in List Building, Traffic and tagged Internet Marketing, Leaders lying about sponsoring, Online Marketing, Traffic, Traffic Authority, work on the internet on August 26, 2015 by BoldandBrave. What is a Google Hangout? How do I use a Google Hangout? A Google Hangout is like Skype. It’s a way to communicate across the internet where you can see each other, great way to connect with family and friends. Google Hangout is also useful, because you can also share your computer screen during the Hangout. It can be used as a training tool that can then be posted to YouTube and be available to many more people..
To be able to use Google Hangout, you first must have a Gmail account. This is easy to get. Go to https://mail.google.com . 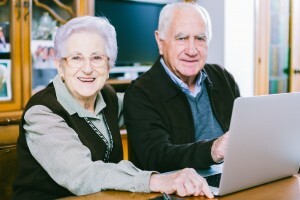 Google Hangouts can only be done when the person you want to connect with also has a Gmail account. Once you have a Gmail account, you will also need to create a Google+ profile. If you are brand new to Gmail, you will find your name in the upper right hand corner of your Gmail messages, along with a diagram with a number of dots in it. This diagram is a menu to many more programs within the Google family that you now have access to. Here you will find the Google+ APP to set up your Profile. Here are instructions on how to set up your Google Hangout. Click on Google+ and sign in. Create a Profile. 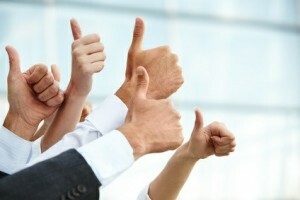 Google+ is a lot like Facebook, with a more business minded orientation. You will want to add people to your circles and grow your followers, just like in Facebook. “With Hangouts, you can send messages, emoji, and photos or start video calls with your friends and family. You can start a Hangout from Gmail, Google+ Page or profile, the Chrome desktop app, your Android or iOS device, Inbox by Gmail, or with the Chrome extension. You can start a Hangout with anyone you’d like as long as the person has a Google Account. If you start a Hangout with someone who doesn’t have a Google account, an invitation will be sent to their email address asking them to join Hangouts. Open Hangouts in Gmail or Google+. As you just read, look for the symbol with the quotation marks to start a google hangout. It will be a live link. In this list below are the steps to getting a video Hangout started. At the bottom of your Hangouts list, click Start a video Hangout. You can add specific people or circles, or make the video Hangout public. Once you have a Google Hangout open, you can start inviting people to your hangout. Once you have opened your Google hangout, you will see a link for the hangout. This is a link you can send out in an email to people. You can also put in email addresses or add people from your circles in Google+ to your hangout. You can make a live recording by going to the left side of google plus and scrolling down to Hangouts on Air. These videos are recorded and will go out on YouTube. These can start Now or be scheduled to start later. The Hangouts on Air feature will allow you to do webinar like training, live training for your team. All these are searchable on YouTube. When you are finished with your google hangout, click the red hang up button and it will end. Have fun with this process! This entry was posted in Online Education, Online Marketing and tagged Attraction Marketing, Google Hangout, Google+, Internet Marketing, Online Marketing on June 12, 2015 by BoldandBrave. You are thinking about setting up a Blog. What are the things you need to be thinking about? First off you’ll need to think about what your purpose is for starting a Blog. Do you want to start a Blog to teach others what you know who may need that information. Will it be a Blog Branding what you know? Do you want to make money writing a Blog? Either way you will need to have a platform to host your Blog. For most people having a Word Press site is the best option. This Blog is built on a Word Press Platform. You will need to have a Lead Capture Page to capture people’s information, because you must build a list. What I like about Word Press is there are many formats to choose from and you can customize it to suit what you want to present . It’s like having your own location on the internet. 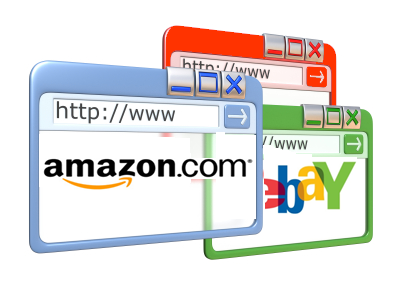 You will need a Domain Name and a Host for your site. I have used GoDaddy for my names and my hosting. There are others that you can check out. HostGator, DreamHost, Bluehost and 1&1. The cost of a Domain name is less than $15 a month. Starter hosting packages cost less than $15 a month. When you’re first getting started there are YouTube videos that can guide you through a lot of training on how to do things in the Word Press site. Once you have your Word Press site you can choose Themes and Looks, install plugins that will enhance the functionality of your site,I found it fun to go through the different choices of pre-installed themes available to determine a starting place for how you want your Blog to look. Here are a few of my favorite Plugins. You will need to be thinking about who you are writing for. You need to write about something you that captures your interest and also what others are looking for. Remember, it’s not about you, but who you will be able to help with your writing. Step back and think about your readers and your potential customers and what they need to know to be more successful. You will need to think about who your target market is. What is their age, where are they in their life and what is it they are looking for. Is the topic something people are looking for? Can you profit from what you write? Is there a gap you can fill? Do you have interest and expertise? Are their affiliate programs that you could join where you can make money? What are some profitable subjects that people are interested in. Figure out what you want to sell before you get started. Figure out what you want to write about and the angle and niche where you will be able to assist others. All the items that are listed above will need to be thought out so you know where you would like to go. You may need some guidance and tools to figure this out. I am here to assist you. If you got value from this post, comment down below. How does what you are interested in, products or services that you believe in make a difference and offer a solution for others? This entry was posted in Attraction Marketing, Blogging, Online Education, Online Marketing and tagged Attraction Marketing, Blogging, Internet Marketing, Online Marketing on May 22, 2015 by BoldandBrave. You may be wondering what are the benefits of Blogging and why would I Blog or even consider it? In my last Blog I wrote about the fact that “Change is a Constant” in our life. Since the 1950’s with the technological revolution, it feels that change is speeding up. “By 2020, more than 40% of the US workforce will be so-called contingent workers, according to a study conducted by software company Intuit in 2010. That’s more than 60 million people that will be contract workers.” Find out more here. If 40% of the work force will be freelancers, what changes will individuals need to be making with so many no longer employed directly by companies and working as contractors? How will we stand out as the one that will get the job done? This brings us to a concept of becoming an expert and “Branding”. Because, we have all become Googlers for information on the internet, it’s important to develop a Presence Online where we can be found. this is where the concept of “Branding” ourselves becomes important. How can you help others with what you know? What skills do you bring to the table? How could you help others with the expertise you possess? Think about what you are good at and if need be, what could you learn that would be valuable to others that you can teach. People are always looking for information and how to do something. What unique perspective and expertise that makes you more valuable can you bring to the marketplace? You need to be on Facebook, Twitter and LinkedIn, you should have your own Blog. 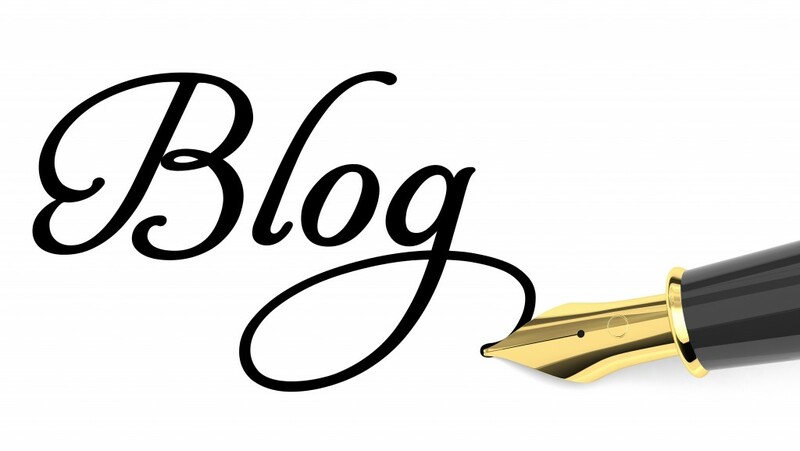 Even if you are an employee, you should have your own Blog. Because of all the changes happening, we need to be thinking about a Plan B. We need to be ready for what may happen next. What would you do if you knew if your job could change or disappear? There have been articles written about how to become indispensable in your job. See it here. To make yourself indispensable, you will need to be able to sell yourself and all the things you are bringing to the work you do. This could make the difference in keeping your job. For some, thinking about a Plan B, may mean starting something on the side of what they are already doing. It may mean starting a business. Gaining skills always makes us more attractive in whatever we are doing and is essential if we decide to venture out into something new. If you Blog you will gain credibility and authority which will make you more valuable to the people who need what you have to offer. Your job is to create valuable content. This valuable content is just one of the metrics used by Google to rank how you will show up when Googled. How would lawyers and attorneys benefit? Every year there are 40,000 law students and only half of them are able to work as lawyers. Those are terrible statistics that half of the students don’t become lawyers. It sure makes you wonder what happens to all those that can’t work in the profession they chose? Wouldn’t it be valuable for these students to be taught how to market their capabilities? They should be doing this as an undergraduate. They should have a Blog and be learning to Brand themselves. They will need to do this as an attorney and if they don’t become a lawyer and end up doing something else. Law schools teach them to know the law and become good technicians, but not how they will need to market themselves later. Everyone needs to Brand themselves, you’ve got to be ready. You need to be at the Top of the Food Chain in Online Marketing. When you decide to put yourself on the internet the skill you will need to learn is how to market yourself online. Change brings with it a “Huge Solution Economy” and the need for people to fill that need. See the change as Opportunity and you will be the winner, filling a need that others have. Are the benefits of Blogging a way for you to move your life forward? Robert Kiyosaki says the only difference between a rich person and a poor person is how they use their time. Is all your time spent in front of the TV? Paul Zane Pilzer says that Prosperity comes to those who do things the fastest. What I believe Paul means here, is that when you see a need and you seize the opportunity to do something to fill that need and you move quickly, you have the best chance of success. When you invest in yourself you are building your Brain Capital, this allows you to become indispensable. This investment builds your resume. Once you have the Brain Capital, you’ve got to be able to market yourself. As a Blogger there are a number of ways to make money. The ways to make money will be discussed later. Are you ready for the changes coming by 2020? With the statistics of 40% of the workforce being independent contractors by 2020, it is important to look ahead and be prepared for the changes ahead. Could Blogging be a way to assist you in this preparation? Develop a Mindset to succeed and be committed to figuring it out. Truth is that none of us can do this on our own. Be willing to learn and ask for help. I will be writing more about Blogging and what you need to know and do. I am here to assist you. 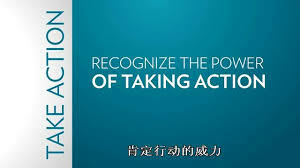 This entry was posted in Blogging, Online Marketing, Solutions Provider, What is Possible and tagged Attraction Marketing, Blogging, Giving of yourself, Internet Marketing, make money online, Online Marketing on May 1, 2015 by BoldandBrave. Why do Internet Marketers crash and burn? When starting on the internet and the Online world, it’s going to take learning specific skills set , having realistic expectations, and having the right mindset to keep at it until you get there. Many come to Online Marketing wanting to Fire their Boss. I want to let you know that you need to exercise caution on the idea of firing your boss. Why is this? The New Boss has to show up and be Spectacular! If you think that 5 to 7 hours a week will do it, you are kidding yourself. To be successful, you need to put in the time and there is a learning curve to this process. Most have a problem with this, because they can barely show up on a daily basis.. It is mandatory to show up every day! 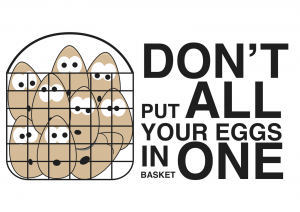 You must become your own task master. What is the Solution for the Network Marketer? 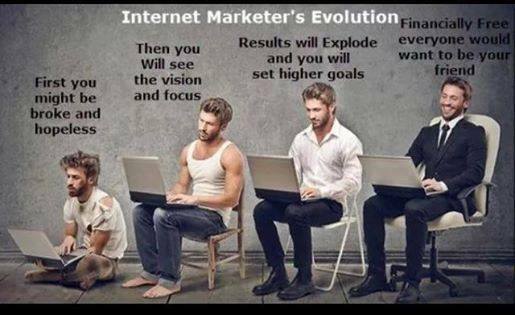 Let’s turn the corner to tap into the Internet Marketer’s Solution. We are in a Solution Economy So whether you own your own restaurant, you are an attorney, a network marketer, an affiliate marketer, no matter what you’re selling a service or a product, you are providing a solution. Whether it is makeup for women, skin care for women and men, jewelry, supplemental nutrition to solve specific issues or just to get healthier, legal work, high tech systems, they are all there to solve a problem that someone has. You are tapping into the concept that you are a solution provider.Makes you want to put a badge on your shirt: Solutions Provider! Show up for work as a Solutions Provider! This will be your new identity, no matter what you are selling. This is the mindset you have to have to help people that you are providing a solution to a specific problem. You should know what the problem is for your target market. More to come on the Solutions to how to be an internet marketer that doesn’t crash and burn. If you got value from this post, comment down below. I want to know what makes you an attractive marketer! Also share on Google+ or Facebook if you know of someone that could benefit from this post. Share buttons are on the bottom of this post. PS: If you want to understand how you can become a Solutions Provider and attract people to you, then you need to check this out Click Here. This entry was posted in Online Marketing and tagged Internet Marketing, Online Marketing on April 10, 2015 by BoldandBrave. You may be saying….. Amen. 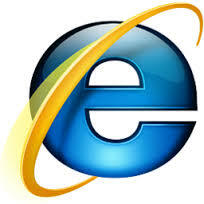 Or, you’re not surprised that Internet Explorer is in it’s last days. You may not be surprised, with all the crashes and problems you’ve had with it. On it’s 20th Birthday later this year, looking back at it’s peak, it had 95% of it’s market share. Now, it’s definitely on life support. Microsoft has it’s hand loosely on the plug. The new browser Spartan will be released with Windows 10 sometime in the fall of 2015, and may have some semblance in the new version. It is sure to have the add on capabilities of Firefox and Google Chrome. Internet Explorer or IE, didn’t stay current with what was going with Firefox and Google Chrome and so it’s demise is only a short time away. How did Sears miss their chance? Not keeping up with change is something that happens all the time, I think of Sears who had the most incredible catalog sales. Sears didn’t see the opportunity to move with technology and Amazon came along and changed the entire market. Change is the most inevitable constant we experience in our lives. Because of this continuous change and technology moving faster and faster, sometimes it feels like it’s harder to keep current. Is there an option to stay current? If you’ve been in network marketing and the home business arena you most likely have been taught to make your list and everyone is a prospect for what you have. Wrong, and you’ve most likely experienced a lot of rejection It may be time to learn a different way that will not leave you feeling like you have been a punching bag. 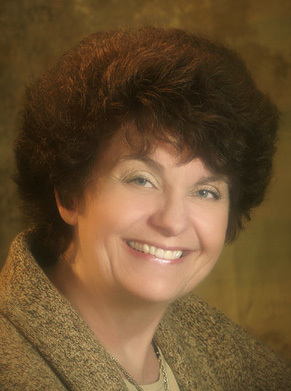 Learning how to draw people to you through attraction marketing is very appealing and works. But, how do you do that? Having the right program and person to learn from is so important. I spent the last year learning how to do online marketing and learned a lot and then discovered that the training was not completely truthful. Because it had huge holes in the how to do it right, I spent money that did not lead me to successful advertising because key information was left out. 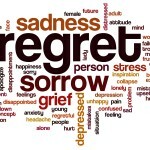 I am glad for the training, but when you become disillusioned, it may be time for a change. Choosing a trainer and training system where you can truly learn the basics is critical to your success. Don’t get me wrong, I learned many things, but there were holes, and when you are missing some critical elements, things don’t work very well and the extra income you were looking for in your project won’t be there. What System will help your success? When you are looking or even if it’s where you are right now, you need to ask yourself some important questions., Do you have a system that allows you to have an effective marketing program? That is what everyone needs, without it, you are trapped by contacting everyone you know and trying to connect using the 3 foot rule . Or, you are spending a small fortune on leads that are supposedly looking for something to better their financial life. What happens, is that you are talking to people, who don’t want to be sold, about what you have. Remember, everyone likes to buy, but no one wants to be sold. They like to discover it. That’s why the internet is so great. You may be saying, I am only sharing. When a person understands there is financial gain for the person sharing, their listening changes and they become uncomfortable, because they know you want them to buy from you. To be really successful you need to have a target market and a continuous stream of people who want to talk to you and want what you have. Have you been speaking with Opportunity Leads? 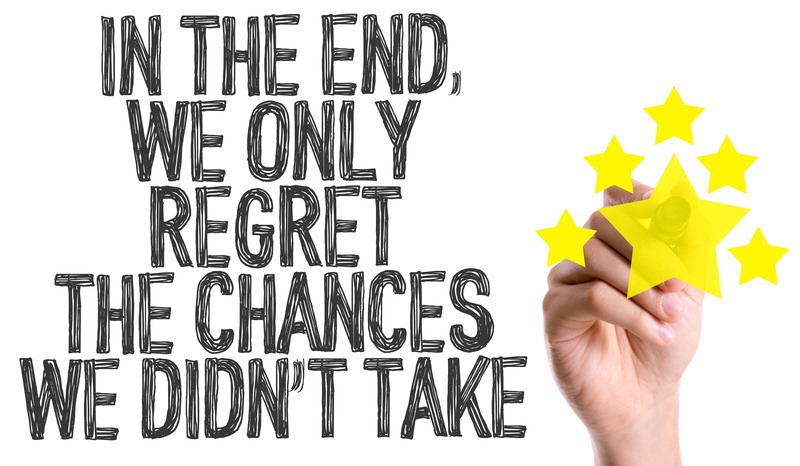 If you are like me you have been through the process of talking to endless opportunity leads who didn’t sign up for anything on the internet that said they wanted to make more money. They were looking for a job that will pay them for showing up and doing their tasks. They don’t really want to make big changes in their life. The other issue you have when talking to these leads, is that they don’t trust what you’re saying. Why, because they don’t know who you are, and that you are a trustworthy person and what you have is trustworthy. Because of the shenanigans that have taken place on the internet and people that don’t know you, people are naturally skeptical. So what do you do to make this change. You need to find and follow a person that you do trust and follow what they have to say. 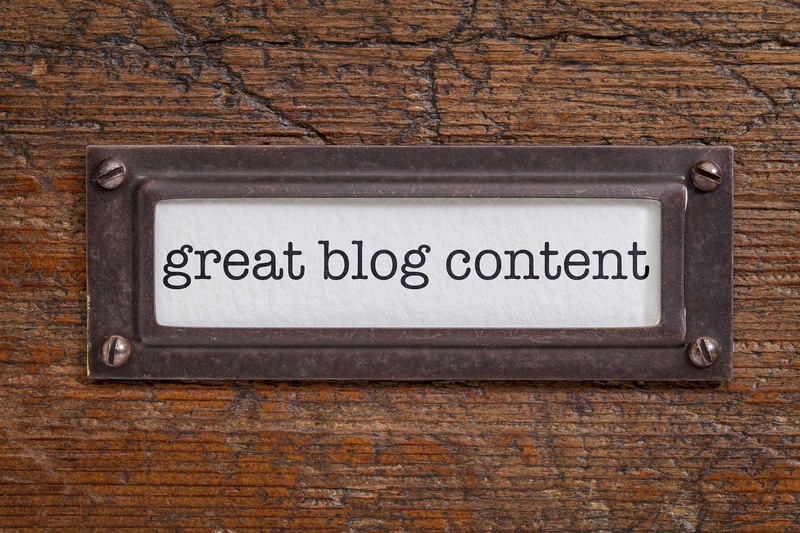 If you are the one Blogging, then you will need to build that trust with your target market. You will need to know of what you speak and how to help someone out of their dilemma of what is not working. You will have to show them the system and how it works so they can make money online and learn the skills necessary to succeed online. What has been keeping you stuck from being able to move forward? Remember change is constant. If you are like I was, take the first step and start to explore what you don’t know yet. Don’t be a network marketer that continues to struggle doing the same thing hoping for different results… become the network marketer that can teach their team how to build their business. Provide tools beyond the traditional MLM world. Show them the magic of attraction marketing. Also share on Google+ or Facebook if you know of someone that could benefit from this post. Share buttons are on the left. PS: If you want to understand the Lies that you have been told about having Success in Network Marketing and what to do about it, check this out. This entry was posted in Blogging, Online Education, Online Marketing and tagged Blogging, Desire for change, Internet Marketing, need more income, Online Education, Online Marketing on March 28, 2015 by BoldandBrave. Did You Know The Wall Street Journal Loves Digital Marketing?? Did you know that the Digital Marketing Industry is worth $62 Billion Dollars? ( according to the Wall Street Journal article I just came across, Wall Street loves Digital Marketing.) What does Digital Marketing mean? So what can this mean to you What is it? It’s Marketing something of value on the Internet.. It’s about having a Passion and being able to communicate online. It’s about learning various skills that will make you more valuable. You say, I don’t know the first thing about how to get something going on the internet. What are your choices? 1) You can decide its not for you and watch me and others do it successfully. 2) You can decide to jump in and learn what it’s all about and decide to learn and be coached to be a part of a turn key profitable system. You don’t need to have technical experience to get started and you will be coached and guided with all the training on what to do. PS: You may be wondering how can I start something, when I don’t know the first thing about how to start and what to do. Click Here To Find Out How. This entry was posted in Online Marketing and tagged Blogging, Internet Marketing, Online Marketing on March 9, 2015 by BoldandBrave.